A Tanks’ series that showcases the best of live and local music. This month proudly presents Lady Valiant, Legends of Perhaps and Clara Satzke. Inspired by the original Delta Blues masters, Lady Valiant formed in Georgia, United States in 2015 and relocated to Port Douglas a year later. Their less is more Blues and Folk original soundscape draws on a solid foundation of chunky stompbox, driving slide guitar and raw soulful vocals. With vibrant originals, gifted siblings Holly, Amber, Jake and Jasper make up Cooktown based indie/folk/pop band Legends of Perhaps. With a new album in the works, and recently having a one of their songs performed by the Queensland Symphony Orchestra this creative crew is one to keep an eye on. 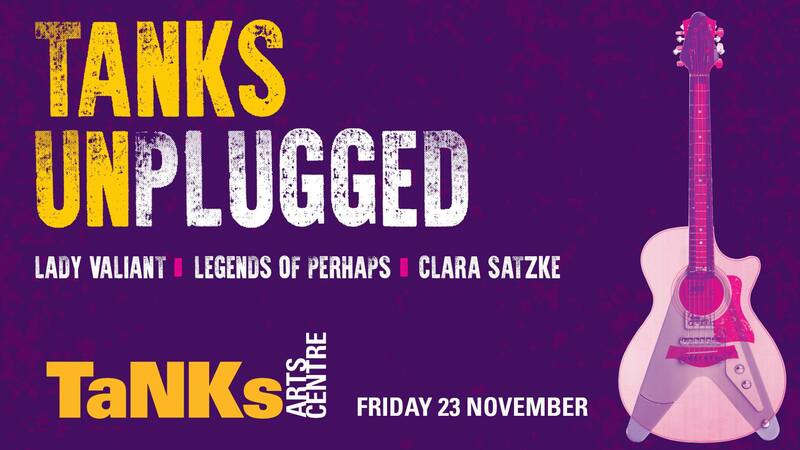 Argentinian born Clara Satzke’s music draws on a multitude of influences stemming from her globe-trotting childhood travelling the world with her family and attending schools in Paraguay, Uruguay and Kenya before making the move to Cairns.